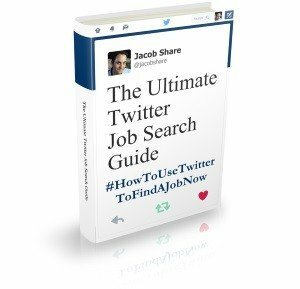 Most Word users overlook an item that might be handicapping your resume too. If you’re like many people and have a copy of your resume in doc or docx format, open it right now in Microsoft Word. Then, click File > Properties. A dialog box will appear with the Summary tab selected. Check it- what do you see in the Title, Author and Company fields? How about under the Custom tab? Gibberish. Probably the result of quick keyboard bashing to get rid of a misunderstood window, this never looks good. Sarcastic comments. One resume’s Author was “Your Mother”. Funny yes, professional no. Security warnings, e.g. labels such as “Top Secret” or “Confidential”. If it’s a joke, see above. Otherwise, you might have bigger problems to worry about. Partial or abbreviated information. For example, an Author of “jcohen” instead of “Jennifer Cohen”. Looks sloppy, like you couldn’t be bothered for the effort. It comes across even worse if the listed Company is one that you do not actually have on your resume. A candidate’s previous name, such as a woman’s maiden name. This is just confusing and will not help in any way. Somebody else’s information. If you downloaded a resume off the Internet or got it from a friend, this would be a likely consequence. Words in another language, as in a language not used in the resume itself. This is also sloppy, especially if the text is not likely to be understood by eventual readers. The name of a current employer. Updating your resume at work? You think that your next employer will appreciate it more, or less? The name of a past employer. This just makes your resume look out-of-date. Also, see above. The name of a college or university. Borderline – assuming you’re actually going to that school – but leaving the form field empty would be much better. Usually, the information displayed in a doc’s Document Properties comes from when Microsoft Word was used for the first time on a computer. As you can see from the list above, that was often not at home. Aside from the poor impression these blunders give, there is another reason to be careful. Namely, resume management software used by HR departments to store resumes in a database for keyword analysis. These programs can also see the Document Properties for all that entails. Use the Document Properties to your advantage by filling in the fields with useful, spell-checked text. If you have multiple versions of your resume, use this software to change the Properties of all the files at once. Leave the Document Properties empty. First, configure Word to stop saving information there in the future. If that’s too aggressive, you can use this macro (mini-program) to create a Word toolbar button that will allow you to empty the fields on a file-by-file basis. Or, use the aforementioned software to clear all your files’ Document Properties at once. If you’re using Microsoft Word to manage your resume like many employers require, pay attention to details like the Document Properties. It only takes another minute or two, but could save you from missing a great opportunity. Surprised? 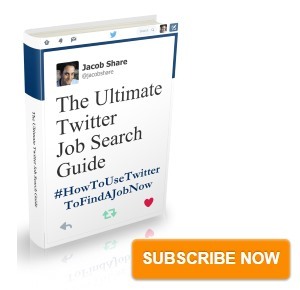 Subscribe to JobMob via RSS or email and follow me on Twitter for other unique tips for your job-finding success. Wow, this is a great tip! You’re right, its not something that most people think of, but smart HR managers will probably look at it. I know when I get files from a professor, I always notice the file properties in the statusbar before opening it in Word, often laughing at some of the names people use when they install Word (as that’s what the Properties fields reflect). Anyhow, very glad I jumped over here from DBT, and will keep this in mind when sending out my own resume! You’re right! That is a tip I’d never heard before. Previous PostDo You Need Help Writing A Resume?